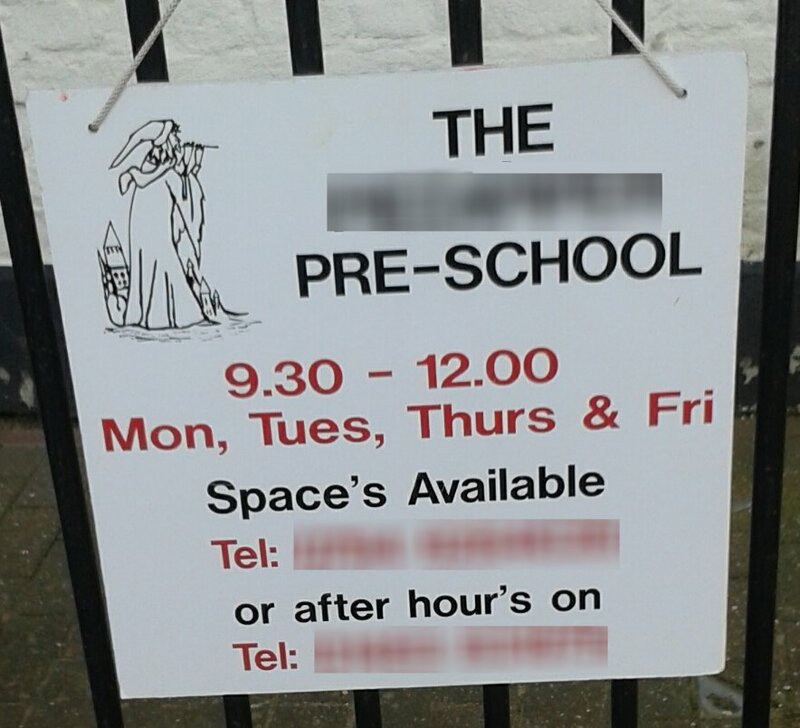 I don't know about you, but I would not be too happy about sending my child to a pre-school class that threw apostrophes about with such abandon! I know they probably don't teach grammar to pre-school children ... and here, it's just as well! In addition to correcting the mis-used apostrophes, we should change the capital A on "Available", and standardise on three letters for each day. We could also discuss replacing the ampersand. Spaces available? I'm not surprised. Ref: 42 I've also noticed that some preschool and nursery workers use incorrect grammar when speaking to the children - just what they DON'T need at this crucial time of language development! Ref: 39 It demonstrates to me that even the seemingly most simple sign or notice needs to be proofread. Ref: 38 Wow. Shocking errors, I wonder how many people actually noticed them? Standards are indeed slipping!